An Introduction to Gender and Wellbeing in Microeconomics explains how to set up the basics of designing a gender-aware approach to microeconomics by constructing creative gender-aware indicators. 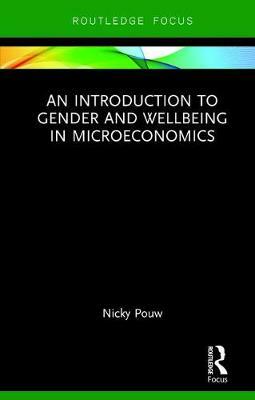 Using a wellbeing economics framework, the book argues that economic models should take power differences such as those inherent with gender into account, and be complemented by more qualitative analysis geared to discovering the `how' and `why' behind the `what' questions. This book will be essential reading for academic and professional researchers, as well as policy researchers in gender and economics, international development, and social and economic policy. It will be invaluable for courses relating gender to the economy, and will enable readers to get a clear and concise understanding of the gendered character of the economy and of economic policy.